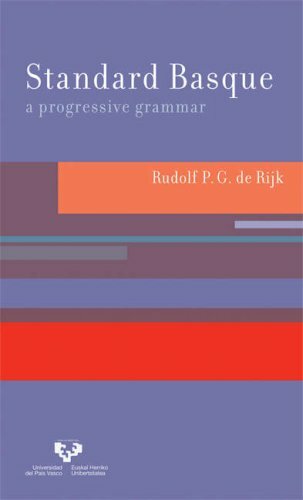 A Progressive Grammaris the first modern pedagogically oriented reference grammar in English for this new standard language. It guides the reader progressively through 33 chapters covering topics that range from orthography and pronunciation to case endings, verb forms, ergativity, and the antipassive and allocutive forms. In addition to information on the various dialects, the book includes thousands of example sentences drawn from Basque literature and extensive vocabulary listings. Most chapters conclude with exercises. Part 1 covers the grammar and Part 2 contains glosses for the example sentences and indexes.